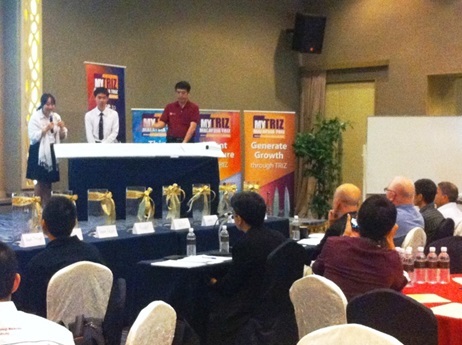 Sawaddee TRIZ Team from Thailand won the second runner up price in MyTRIZ Competition 2013 at Penang, Malaysia. Thailand has enjoyed steady economic growth even though there may have been some confrontation in political ideology among Thai people. Recently, the Theory of Innovative Thinking (TRIZ) was proposed in Thailand to solve the conflict of political ideology in Thailand. The idea of consolidation (inventive principle number five) was used to set up a national government. 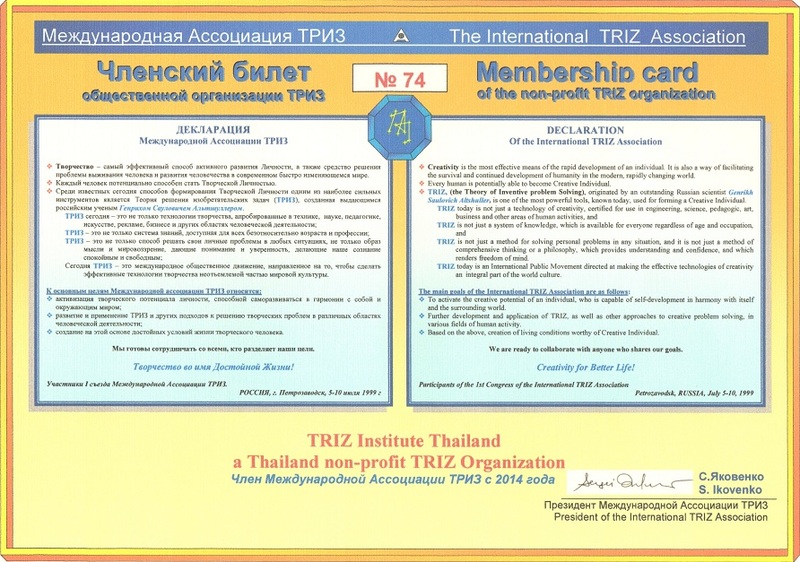 The story of TRIZ was introduced to Thai industries around the year 2000. There were articles written about TRIZ that were published in the journal of the Technology Promotion Association (Thailand–Japan) (TPA). 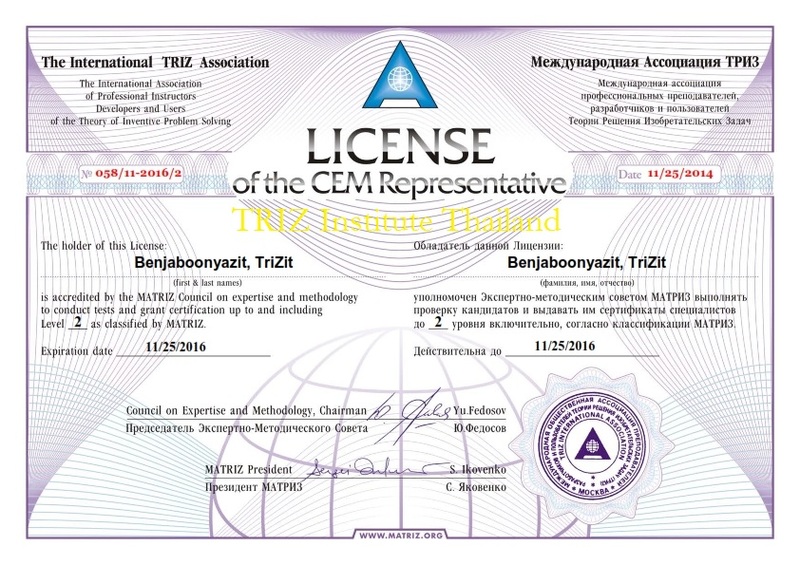 The Theory of Innovative Thinking was formally introduced to Thailand in 2002 when the TPA translated and published the first TRIZ book on the 40 inventive principles and the second TRIZ book titled Introduction to TRIZ in 2004. With the cooperation from the TRIZ Center, the SANNO Institute of Management of Japan (where Shinsuke Kurosawa was a TRIZ specialist at SANNO) was invited to conduct a workshop seminar on classical and contemporary TRIZ at the TPA. This workshop was held a total of four times from 2005 through 2008 with hundreds of participants from more than 100 companies. The TPA also organized a study mission to Japan where in 2006 and 2007 the Product and Process Innovation by TRIZ invited more than 30 participants to visit SANNO and its factories to learn more about TRIZ in Japanese industries. The Theory of Innovative Thinking has been gradually gaining momentum in Thailand. More and more engineers and others are talking about TRIZ today. They have joined together in a TRIZ community through a Thailand Web site to discuss and practice problem solving using TRIZ tools. Many companies are implementing TRIZ in the workplace to solve problems on new product development and process improvement. One of them is the Siam Cement Group (SCG) who sent its TRIZ team to participate and present TRIZ for the SCG at the International TRIZ Symposium in Japan (2007). The Federation of Thai Industries has also been providing regular TRIZ training for its members. Apart from the widespread knowledge of TRIZ in the industrial sector, TRIZ has also been introduced to the educational sector and government agencies. Workshop seminars based on TRIZ have been conducted for more than 500 high school teachers involved in the Ministry of Education. Many universities have integrated TRIZ into its master degree programs on business administration and innovation management curriculum. Government agencies have also promoted and supported TRIZ. The National Science & Technology Development Agency (NSTDA) has provided TRIZ training for their researchers and the National Innovation Agency (NIA) has supported the TPA in publishing a new TRIZ book titled Creativity Development by TRIZ (2007) and has also provided case studies of innovation for the book. The author is grateful to Shinsuke Kurosawa, Sensei of SANNO Institute of Management, for his kind instruction and continuing encouragement for introducing TRIZ into Thailand. Thanks to his great spirit like the great teacher, Genrich Altshuller, the author calls him Sensei (or teacher). Assistant professor, Trizit Benjaboonyazit, (pronounced Trai-sit in Thai) is currently the director of the Human Resources Institute at Thammasat University and is the manager of TRIZ Institute Thailand. He was first exposed to TRIZ in the year 2000 and endeavored to introduce TRIZ into Thailand through the Technology Promotion Association (Thailand Japan) (TPA) where he has been working as a Small-and Medium-sized Enterprise (SMEs) consultant. He has studied TRIZ from Shinsuke Kurosawa, a TRIZ specialist from the TRIZ Center, SANNO Institute of Management of Japan and has participated in the TPA Study Mission to Japan on Product and Process Innovation by TRIZ in 2006 and 2007 as a TRIZ specialist. 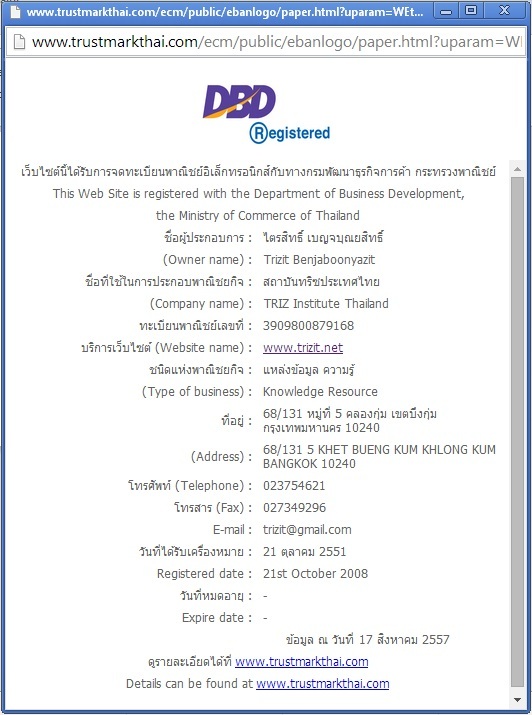 In 2005, he founded the public TRIZ e-learning Web site titled: TRIZ Community Thailand and serves as its webmaster. He fulfilled his bachelor and master degree of engineering from the University of Tokyo in 1980. 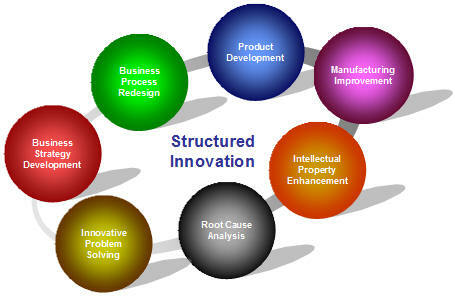 Innovation is one of the surest ways to help companies distinguish themselves from their competitors. To the most innovative may go the spoils.